Children in Ohio take the Ohio Reading and Mathematics Achievement Assessments throughout elementary and middle school, beginning in 3rd grade. Keep reading to find out about the 3rd grade reading assessment and how you can help prepare your child for it. 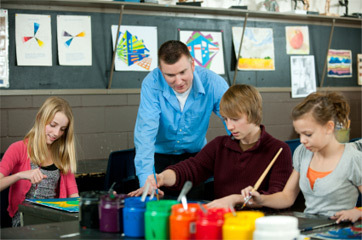 The Ohio Reading Achievement Assessments are used to help determine how children are mastering grade-level curriculum. If your child is struggling in reading, the data extracted from the test will help school staff decide on a course of action, such as specialized instruction. For this reason, the reading assessment is given twice a year. This allows for intervention and retesting, which ensures that every child is reading at a 3rd grade reading level by the end of the year. To begin, it's a good idea to understand the content of the test. Your child will be tested on Ohio's Academic Content Standards in English Language Arts, which you can read on the Ohio Department of Education (ODE) website. In 3rd grade, your child will be gaining increasing fluency and comprehension by reading a variety of texts, such as short stories, fables, biographies and informational text. More emphasis will be placed on applying strategies to reading and writing, such as interacting with the text before, during and after reading. For example, your child will learn how to use text features, including maps, indexes and other guides. In addition, your third grader will be learning new vocabulary and grammar skills and applying them to reading and writing assignments. Decoding words by using prefixes, suffixes and root words will continue to be explored in vocabulary study. Grammar will focus on such skills as capitalization and subject/verb agreement. Ohio's 3rd grade reading assessment consists of reading passages followed by multiple-choice and constructed-response questions. The questions engage analytical thinking skills, such as making inferences about information and selecting the 'best' answer. Your child will also be asked to define vocabulary words in context from the reading passage. The reading passages consist of fiction, poetry and informational texts, which is similar to what your child should have been exposed to in school. Even great readers will likely benefit from taking practice standardized tests simply because this will be the first year that 3rd graders exposed to this type of testing. You can even simulate the test-taking environment at home by establishing an quiet area and setting a timer. Released questions and practice tests are available on the ODE website.